We're a full service digital marketing agency here to make your marketing EZ! From web design to SEO, social media and more, we help small businesses in Lancaster, PA and beyond drive results that matter. We provide professional IT services for local small businesses. Our team provides 24-hour network monitoring, data backup, and recovery solutions to keep your systems running smoothly while you run your business! EZSolution began as a web development company back in 1997, when many businesses barely knew what a website was! As technologies evolved over the past 20+ years, Tom Malesic, our Founder and President, expanded the company, adding IT support services and a full range of digital and traditional marketing services. In 2015, we split into two distinct entities: EZMarketing and EZComputer Solutions. Together under the EZSolution parent company, we've been proud to serve hundreds of small businesses throughout the Central PA region. Not sure how to market your business effectively? 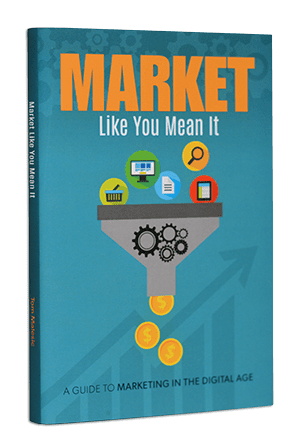 This book will teach you how to put together a marketing strategy that will help you generate results for your business. If you're frazzled and frustrated by your computer systems, this book is for you. Learn what you should include in your network and how to choose a reliable IT provider.